WHY CAN'T I LOGIN USING THE EMAIL ATTACHED TO MY ACCOUNT? Welcome to our new site! We have transferred all your orders over to the new platform and turned your store credits into either loyalty points, or gift cards. To access your account you will need to activate it via the activation link sent to your email address. Didn't receive it? Contact us to request it be sent again. IS YOUR SITE SAFE AND SECURE TO SHOP FROM? Yes! Our site is encrypted with an SSL certificate, using a platform that is Level 1 PCI compliant as well as Bank vault security, protecting you from hackers. Your orders are safe with us. If you are trying to find a missing or late mail item, there are a few things you can check in the first instance. If the article was sent using a tracked service, use our track your item tool to check its status. Check the address details with the sender to make sure the item was correctly addressed. Check if an 'Item Awaiting Collection' or 'Safe Drop' card has been left in the letterbox or under the recipient's door. Check if anyone else at the address has accepted or signed for the item. Check delivery times to see when the item should be received. ARE YOUR PRODUCTS PALM OIL FREE? Palm oil is destructive to wildlife, biodiversity, and is one of the main causes of deforestation. It is also contributing to climate change. Furless supports the use of palm oil sourced from accredited sustainable sources. Yes, you can apply for it here. We accept PayPal, credit card (VISA, MasterCard, American Express, Afterpay, zipPay, LayBuy, and direct deposit). Please note that direct deposit is available for customers with an Australian bank account only. WHEN WILL I GET MY EXPRESS POST ORDER? Express Post is a guaranteed next day delivery service. Please note that the Express Post service only applies to those who live within the Express Post areas. You may use the currency converter at the top of the page to figure out the cost of your order in your own currency. Note the conversion is a guide, and you will be charged in AUD at the checkout. Furless has a flat rate of $8.30 within Australia. International orders are calculated by the shopping cart shipping calculator based on weight. In order to calculate the price, add the products you want to your cart, go to the checkout, and select the country you wish to ship to. The cart will then give you a shipping estimate. For more information on postage click here. DO YOU STILL SELL YOUR NAIL POLISH? We have discontinued the nail polish range. HOW LONG DOES POSTAGE/SHIPPING TAKE? Orders posted within Australia generally take between 1 - 7 days - longer for remote areas. International orders average around 10 working days, or 2 weeks to arrive, though parcels can take up to 4 weeks, and sometimes even 8 weeks to certain countries. Express Post orders arrive guaranteed the next day, assuming the destination is within the Express Post delivery area. Orders are dispatched the same day if made before midday 12 pm, otherwise, they are sent out the next business day. You may pay via direct debit if you own an Australian bank account. No. Check out our animal testing policy here. Yes! For more information on postage click here. DO YOU OFFER FREE SAMPLES TO BLOGGERS? In place of free product requests, we have created an exclusive discount for bloggers and YouTubers. If you are not completely satisfied with your Furless purchase, send the item back to us within 30 days after confirmed delivery, and we will either replace the item free of charge or refund your money, less shipping costs. Please contact us to discuss refunds and returns. DO YOU HAVE AN INDUSTRY DISCOUNT FOR MAKEUP ARTISTS? Yes! We offer a 20% discount to makeup artists working in the industry. To apply, click here. Yes! We are certified vegan and cruelty free by Choose Cruelty Free, and PETA. 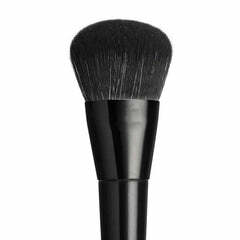 WHERE ARE YOUR BRUSHES MADE? Our brushes are made in China, in a sweatshop and child labour free factory. HAS YOUR MICA BEEN SOURCED FROM RESPONSIBLE MINES? The mica used in our eyeshadow is mined in India, in a child labour free mine. We requested a signed statement from our supplier guaranteeing the mica has been sourced responsibly. WHAT TYPE OF SILICA IS USED IN YOUR PRODUCTS? The silica we use in our products is cosmetic grade hydrated silica/silicone dioxide.